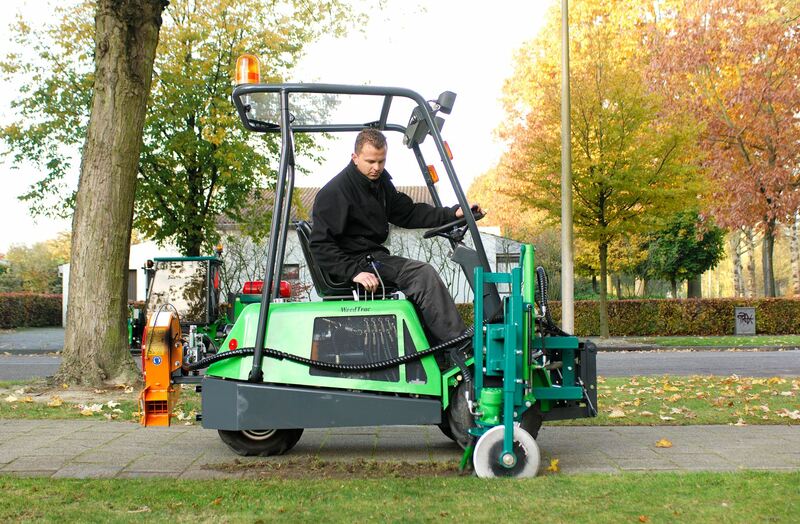 Heavily manual or laborious mechanic work is no longer necessarry for the removal of overgrowth grass edges. 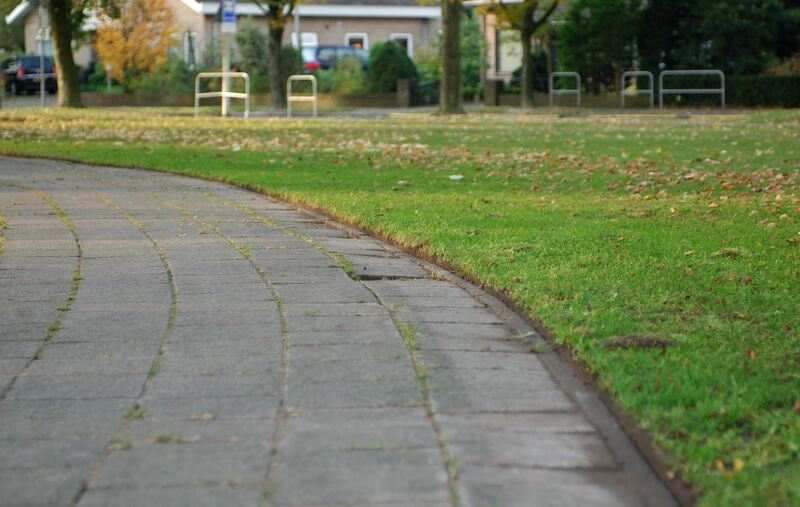 With the Edgecutter grass edges become fast and tight in just one pass; cut off – cultivate – brush and blown back in the border. All without damaging the surface! 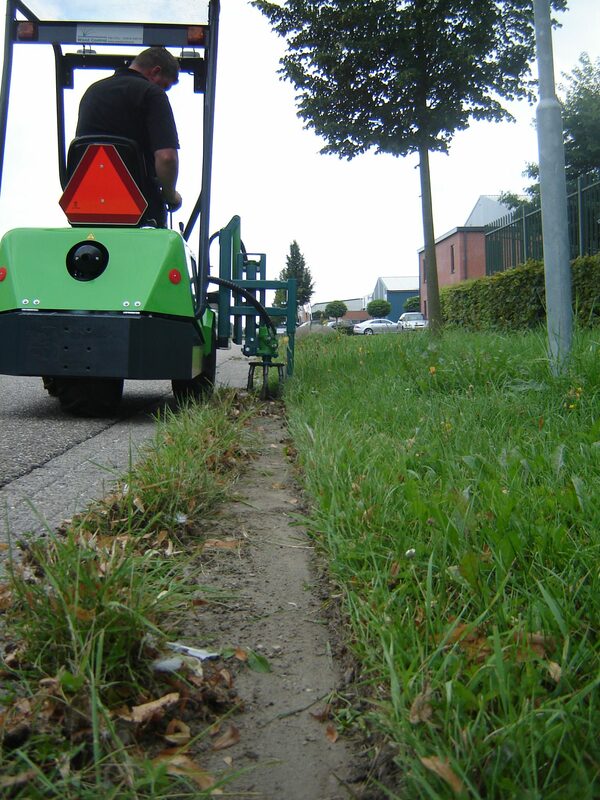 The edger has been places directly besides the front wheel of the WeedTrac*, so pavement edges can be followed closely and linearly. 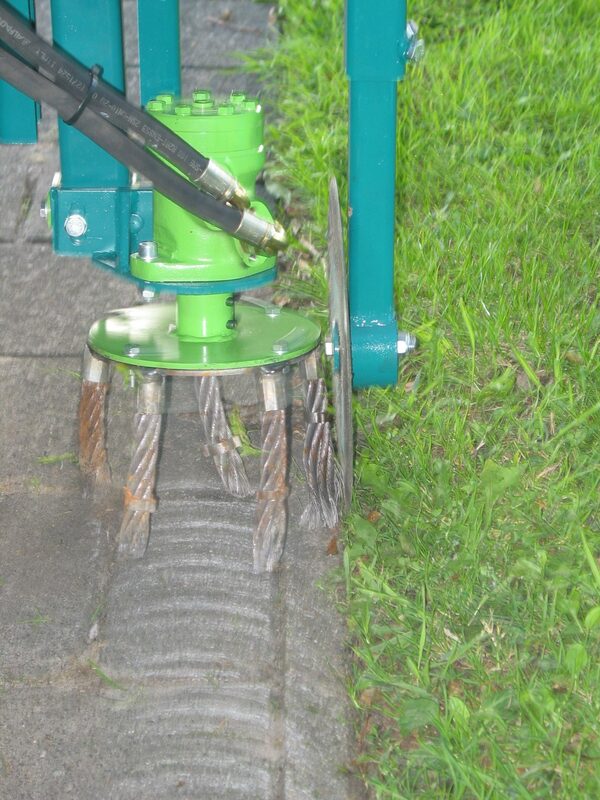 * More information about the mentioned Traction machine ‘WeedTrac’ ? Feel free to contact us! 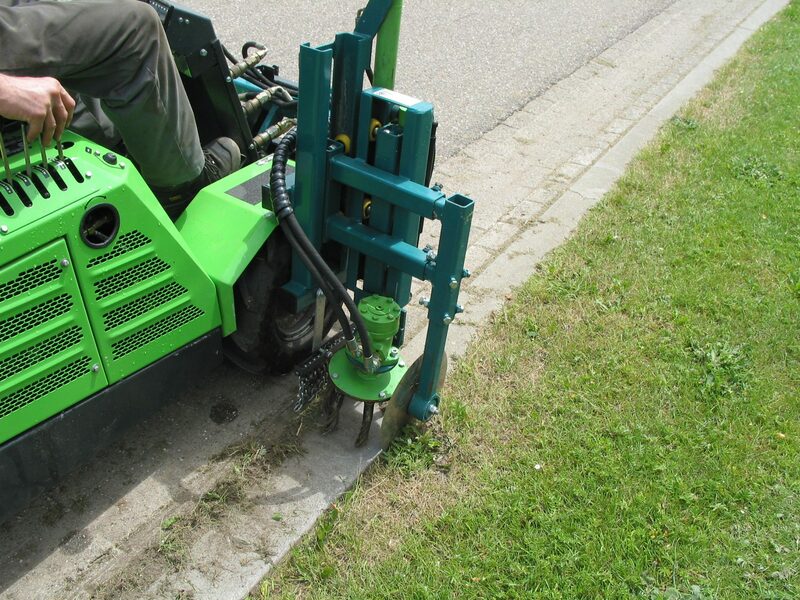 WeedTrac is a toolcarrier with a quick change system and a large selection of tools available.